During a rally supporting comedian Jan Boehmermann, Bruno Kramm, head of the Berlin branch of Germany’s Pirate Party, was arrested for “insulting a representative of a foreign state” by quoting a line from a poem slamming Erdogan. 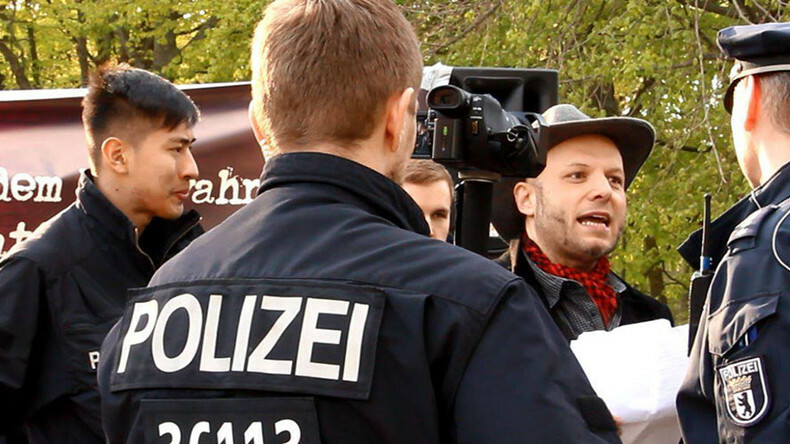 German police arrested Kramm while he was conducting a “literary analysis” of the German comedian’s satirical poem in front of the Turkish embassy in Berlin during a protest held under the slogan “No Power for Erdowahn, Freedom Instead of Erdogan” [Keine Macht dem Erdowahn, Freiheit statt Erdogan], the Morgenpost newspaper reported. The politician cited a couple of lines from the now-infamous piece that landed Boehmermann in hot water, namely, “Kicking Kurds, beating Christians,” which refer to the Turkish authorities’ reported crackdown on minorities. Die Demo vor der türkischen Botschoft wurde aufgelöst. Bruno Kramm festgenommen wegen eines Zitats aus dem Böhmermanngedicht. — Piraten Berlin (@PiratenBerlin) 22 апреля 2016 г.
Kramm was approached by several police officers as he was reciting the lines and taken into custody. The police dispersed the gathering shortly thereafter. One of the activists, Franz-Josef Schmitt, posted a photo of a police van, saying that nobody is allowed to visit Kramm. — Piratenpartei (@Piratenpartei) 22 апреля 2016 г. “When people slightly criticize the government in Turkey, they are persecuted, beaten or disappear. In contrast to this, the dictator Erdogan is allowed to significantly restrict the right of assembly and the freedom of expression in Germany merely for a statement, that he beats Kurds and Christians,” Kramm had written in a statement published on the German Pirate Party’s official website. 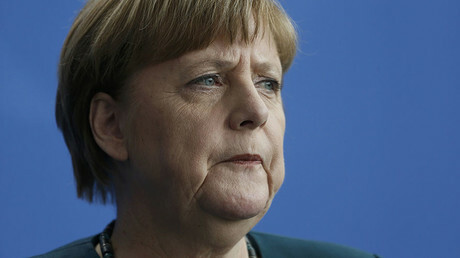 “Who makes such people agents of inhumane refugee policy, should not be surprised when fundamental rights disappear also in Europe,” he added, referring to the heavily criticized EU-Turkey migrant deal recently praised by German Chancellor Angela Merkel. The police had reportedly sanctioned the rally on condition that the activists would not quote any lines from Boehmermann’s poem, because “it may constitute a criminal offense of defamation,” said police spokesman Stefan Redlich, as cited by Morgenpost. However, she didn’t backtrack on authorizing the prosecution of the disrespectful comedian under section 103, despite the public outcry. “I believe [allowing the investigation] to be correct, same as before,” she stressed, as cited by DW. Boehmermann suspended his show last week after Merkel heeded Turkish President Erdogan’s calls to begin the proceedings.